When did you first realize there had been a nuclear reactor in Syria? 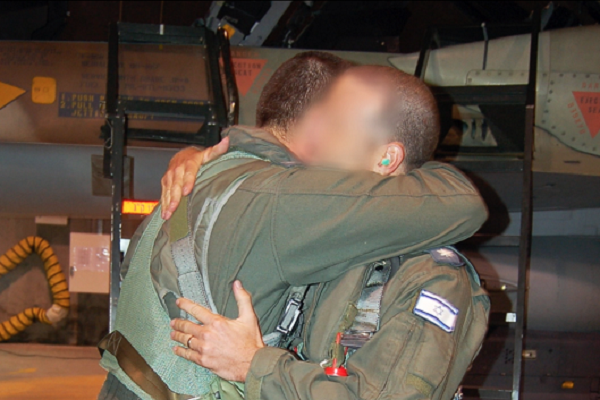 "As Commander of the IAF, I would make sure that I received all the raw data. One piece of information I had heard in November of 2006 sounded odd. It caught my attention, and I asked the Intelligence branch to examine the data and report back to me". How many such pieces of information do you receive in a month? "I receive many, but this particular one caught my attention. The Intelligence personnel approached me a week later with the yet-founded estimation that Syria has a nuclear reactor. I understood that if I'd just heard this information for the first time, the other commanders in the IDF – maybe even others outside of the IDF - probably haven't heard it at all. However, seeing as there was no information regarding the reactor's location, the data wasn't significant yet. The second time I heard of the reactor was in March of 2007, when it was confirmed that there was a nuclear reactor in Deir ez-Zor. We didn't know what it looked like, whether it was active or not. The only thing I understood was that there was a dramatic threat to the state of Israel". A nuclear reactor is the biggest security threat possible. "It can change everything. The second thing I realized was that the IAF had to change its priorities completely, with the reactor being the top priority. I decided that we had to prepare an immediate operation plan in case the Prime Minister wanted to attack in a very short period of time. A plan for the morning after. It could also lead to war, so we developed an operational attack plan while also preparing for war". "It was very surprising, mainly because the reactor was in Syria, which was considerably close to Israel. A nuclear reactor was built over a few years in a place we were familiar with. It was close to being active. The world could have been different if we'd found out about the reactor just a few months later. As soon as I found out and informed the political leadership, I felt that we needed to work as quickly as possible and that the state of Israel should be the one to act". Trust no one but ourselves. "That has always been my philosophy. The Prime Minister (Ehud Olmert), who I appreciated sincerely, thought that the Americans should act. I understood his considerations, but believed that we had to prepare as fast as we could". "I told a very small group of IAF personnel. The first ones I told were the Head of Operations Department, the Head of Intelligence Directorate, the Chief of Air Staff and the Head of Training & Doctrine Division". "As correctly as possible. I said that a nuclear reactor was being built and that we would do anything in our power in order to destroy it, while also preparing for war. A planning team was established right after, a group of young officers to which we revealed the secret. They began planning while constantly receiving new data. Meanwhile, we thought what it would mean if the structure was revealed to the public". Were you personally involved in every part of the planning? 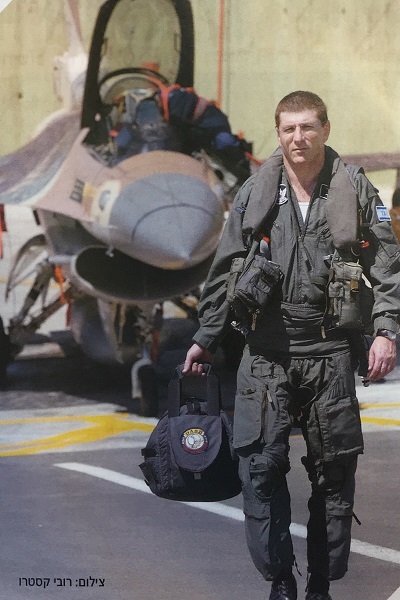 "In order to develop the operational attack plan proposed by the IAF, we met in my office and I listened to every IAF service member involved. We had 16 discussions regarding the reactor, nearly every week. As things progressed, I decided to visit the attacking squadrons. 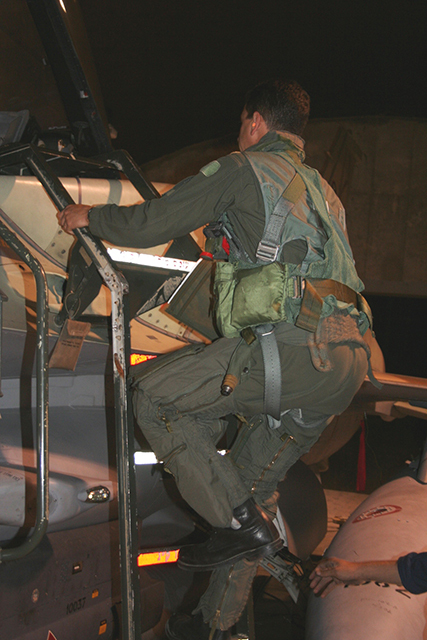 I flew the 'Ra'am' (F-15I) and 'Sufa' (F-16I) aircraft in order to examine the skills we have with my own eyes". In July of 2007, five months after the reactor's discovery, the US government told Ehud Olmert, then Prime Minister of Israel, that the US Military would not attack the target. The Prime Minister decided not to delve into diplomacy and that Israel should perform the attack. "International discussions could accidentally reveal the reactor, or delay the attack so much that we wouldn't be capable of destroying it. 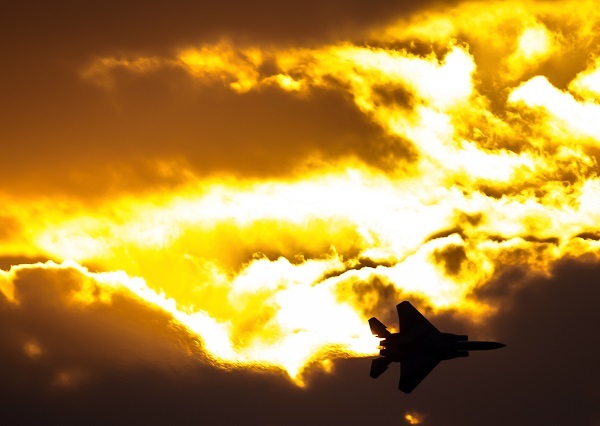 We realized that if Israel chooses to attack on its own volition, it risks starting a war. We realized at that point that it wasn't just attacking the reactor, but performing the mission in complete secrecy. To this day, I remember saying 'the stealthier we perform the mission, the larger our chances are to succeed'". "I think we did succeed, because the most interesting about this operation is how, to this day, the other side doesn't know what happened and how it happened. A decade later, they know the reactor was destroyed but they don't know how we did it". Did other countries in Israel's surroundings understand? How did the days before the attack look like? "We designed a plan of the operation and I invited the IDF Chief of Staff (Lt. Gen. (Res') Gabi Ashkenazi) to examine it. We talked about the alternatives, and I told him my estimation. We then met with the Minister of Defense, Director of the Mossad and the Head of Operations Directorate". At that stage, did you alert the squadrons? "Nobody knew at that stage. I said that I would be the only one who wouldn't sleep at night. 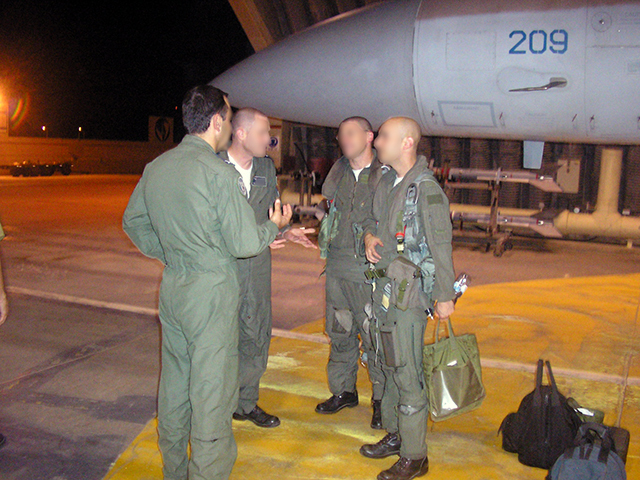 The Chief of Staff and I decided that the IAF would prepare for an attack as if it would be tomorrow evening. If it was decided otherwise, we would halt". On Friday, before the attack, you met with the Prime Minister. "We met at the Prime Minister's house, where we thought of the various alternatives for destroying the reactor. He asked me directly what I thought we should do. I recommended that we followed the suggested aerial plan. I didn't feel that I had to convince him, but explain my personal truth as clearly as possible". Did the government trust the IAF with the destruction of the reactor? "It was clear to me that the Prime Minister would refer to me when asked regarding an operational solution. I decided that the IAF would do anything in case this question came up. There couldn't be a situation where the IAF didn't have anything to offer. I asked to talk to him alone the day before the attack. I thought that sharing my commitment with him personally would be significant. I told him I was convinced that we would be able to destroy the reactor, do it in secrecy and avoid starting a war. I remember him looking into my eyes and telling me that he understood". What made you so confident in your promise? "Everything. The flights in the squadron, the service members who explained every part of the plan to me, the belief I had in the aircrews and the policy I prepared for the attack". Why did you choose such a busy day to visit the bases? "It was important to me that the operating crews hear what I had to say directly from me and not from a letter or command. I flew to the combatants in the bases and exposed them to the target and its significance. You send people to a dangerous place; to the most significant mission they will perform in their lives. I shook each of their hands and told them I trust them. I emphasized a few operational points that I wanted them to hear from me. Firstly, that there isn’t a scenario in which we return without destroying that reactor, secondly, that we can’t be shot down, and thirdly, which goes against what I always say, is that we can’t shoot any aircraft down”. That goes against every pilot’s instincts. "Yes, and I emphasized that greatly. What it meant in practice was that we took certain risks in order to avoid shooting aircraft down. I told them that if they identified a situation in which they needed to take a chance that came at the expense of safety, they should take it. They have my approval. I felt that not shooting down any aircraft, and not being shot down ourselves, would allow the other side to contain the attack". Do you remember a special excitement among the aircrew members in the squadrons, who had just found out about the target a few hours ago? "Because I am familiar with the world of aviation as a pilot, I can say that when you have a big mission, you quickly shift into a mode of focus, you aren’t interested in anything besides the mission. I saw that they were excited, but also ver y focused. I had also spoke with IAF base commanders and prepared them for the possibility of war. As did the Chief of General Staff and Head of the Northern Command with their senior staff". From the bases, you went on to the control station, from which you managed the mission yourself. 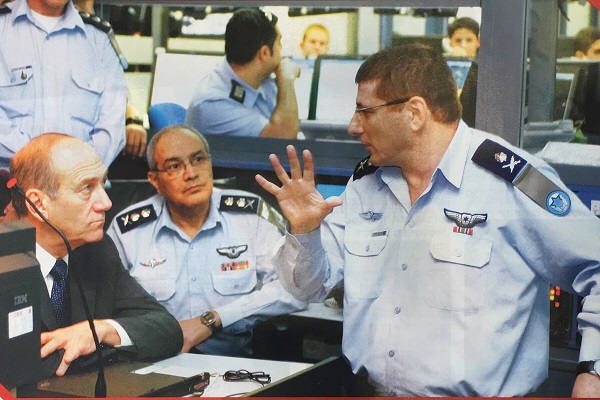 "There was the control station from which we ran the entire operation, in which I sat along with the intelligence and planning personnel, and another side room in which the Prime Minister, Defense Minister, Foreign Minister, Chief of General Staff, his deputy, Head of the Military Intelligence Directorate, and Head of the Operations Directorate all sat. 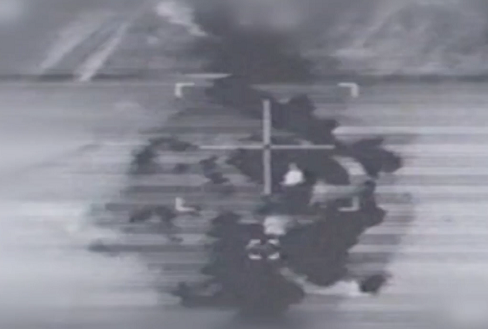 Head of the IAF Intelligence Directorate explained what they were seeing as the operation progressed". How did you feel when the crews reported “Arizona” over the radio, as the ammunition hit the reactor? "There was great joy in the room, but I immediately told everyone to get back in their positions because it wasn’t over yet". Didn’t you feel any tension dissipate? "I only had a good feeling at that point, but I remained focused on the operation. When running something like this, you don’t think about how big or significant it is while doing it, your only concern is performing the missions perfectly. Only later did I allow myself to experience the joy and relief. I didn’t leave the station until the pilots reached a position that satisfied me. I immediately walked over to see the Prime Minister in the adjacent room; I told him that we had performed what we were sent out to perform by him and the Israeli Government. All of the munitions hit their targets accurately and the aircraft have returned safely". At that point does a different tension surface, that Israel might be facing the beginning of a war? "In addition to the station from which I ran the mission, there was another control station on ready alert for war. We thought that we might continue to it in order to manage the war that might start. We waited a tense 12 hours to see if there were any developments, after which we gradually lowered the alert state". Throughout the preparations, did you understand the great significance of this operation? "From the first moment, I felt that this mission was bigger than all of us. It had to do with the existence of a state and a people, so it was bigger than this or that person, regardless of his position. His job is just to do the best he can in order for this to succeed".